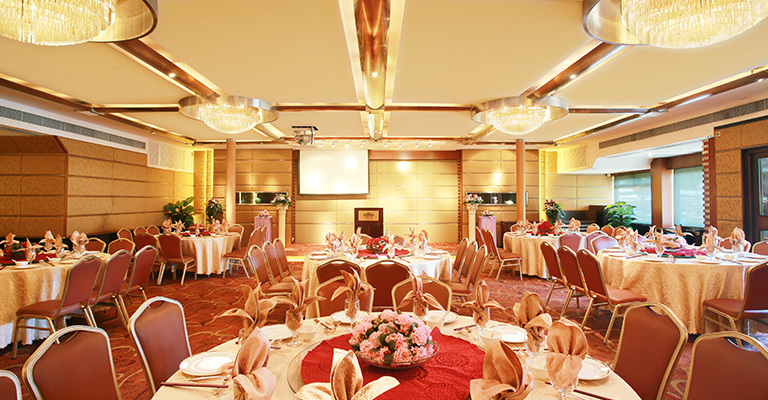 There are six banquet halls with different styles for your selection, and the maximum capacity up to 720 guests for your event. 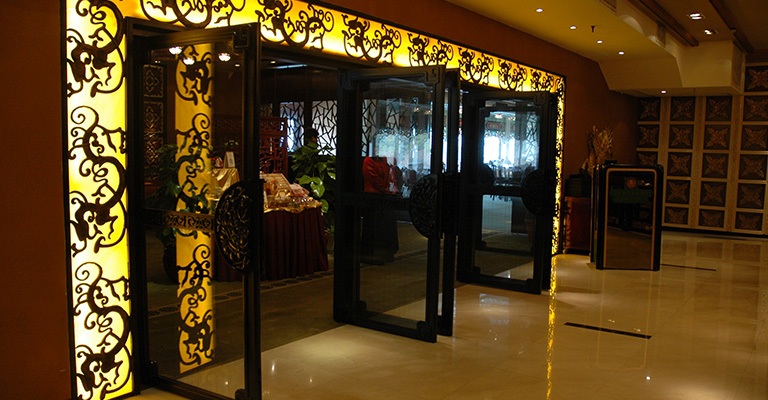 We can provide different facilities and customized venue decoration to satisfy customer’s requirement. 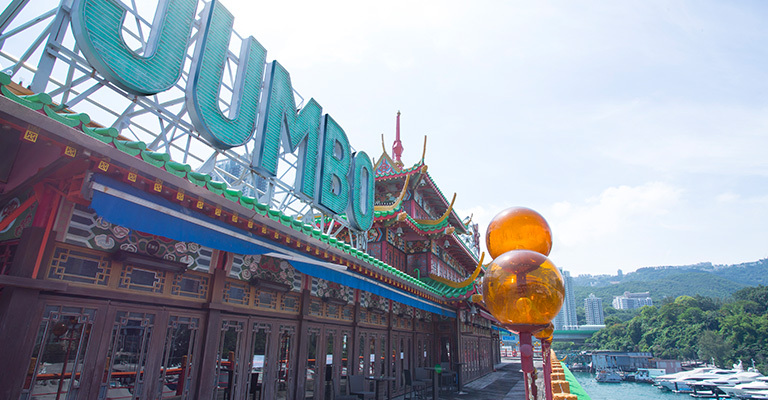 Jumbo Kingdom is an ideal venue for your banquets, wedding and parties. 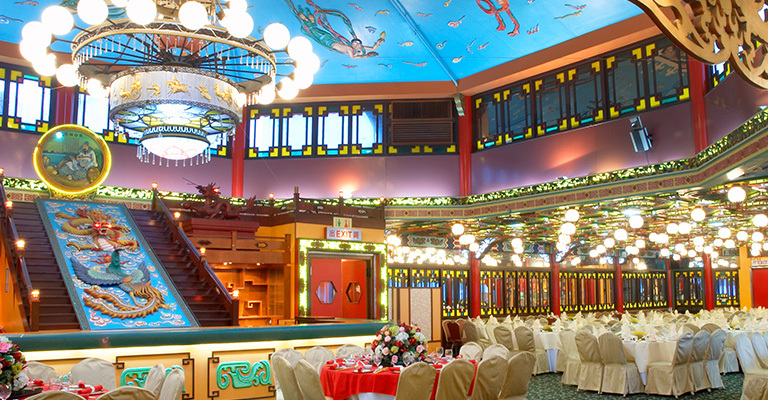 Tai Wo Din and Kam Luen Din - the largest banquet halls in Jumbo Kingdom. 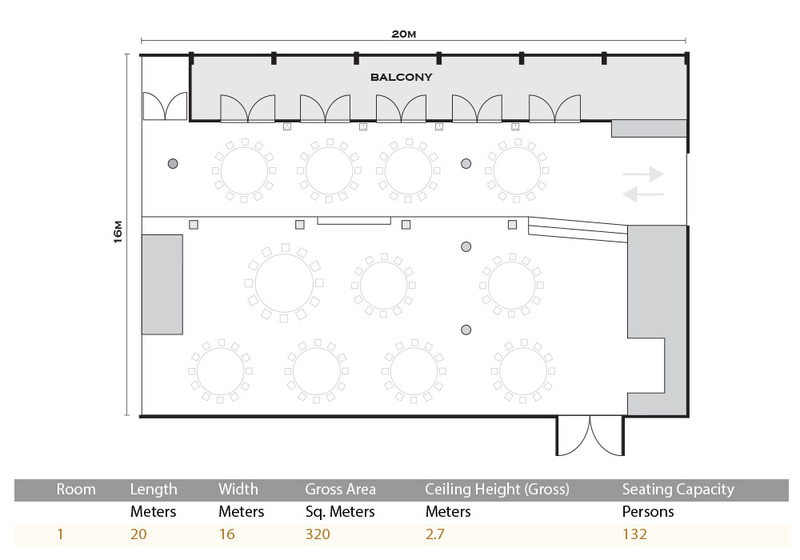 It accommodates maximum of 720 guests. 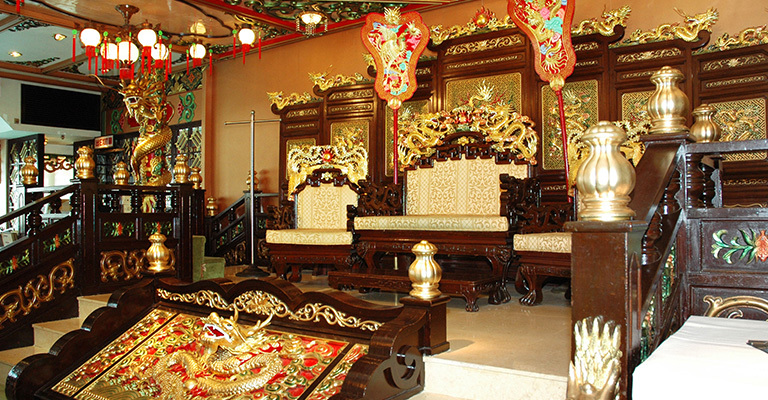 The decoration was built following the design of the royal court of Ming Dynasty, and sculptors spent two years in carving out the emperor’s dragon chair. 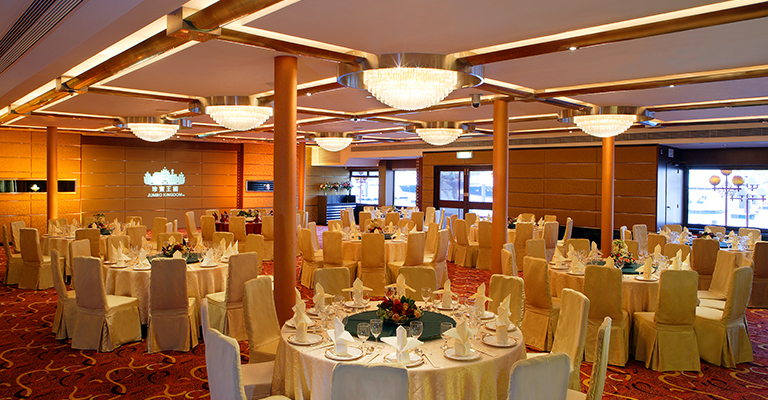 It is the magnificent venue for corporate events and wedding parties. 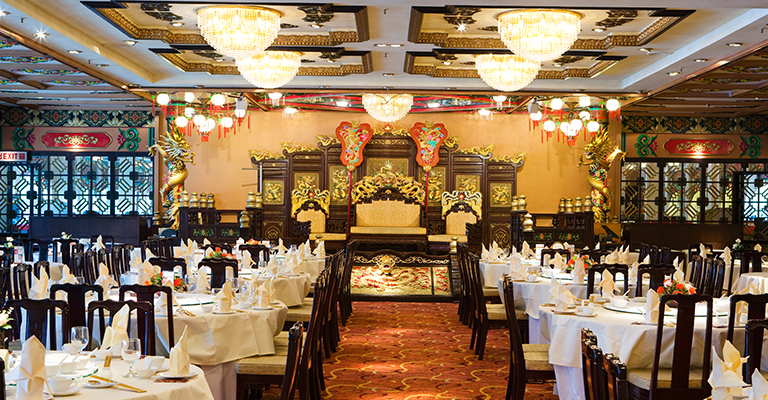 Wing Wah Teng accommodates maximum of 180 guests. 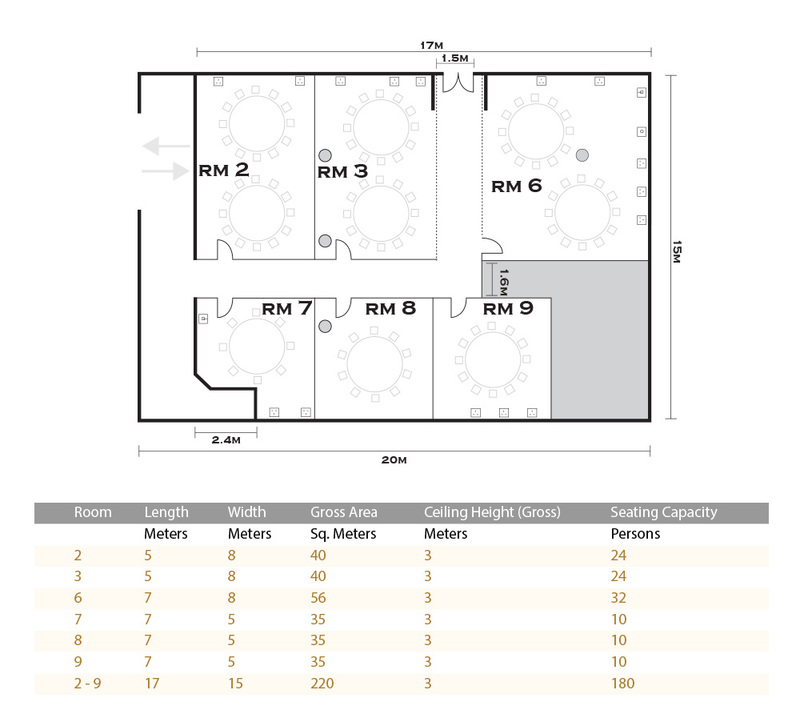 Modern and elegant decoration with advanced audio-visual system, centralized master control station, sound and lighting effects are enabled. 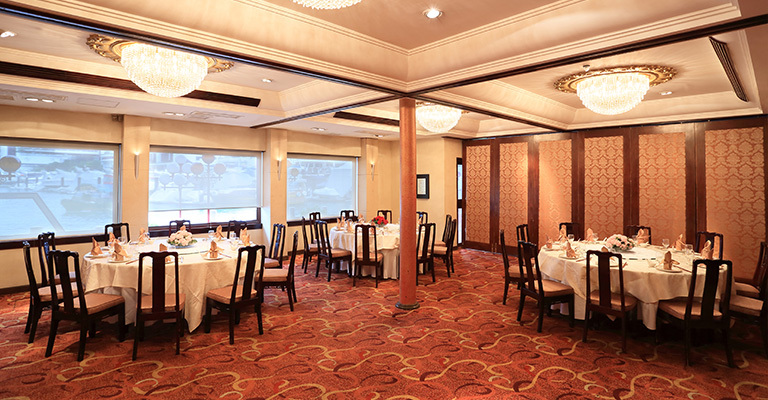 It is a splendid venue for corporate functions, business meetings and personal celebration. 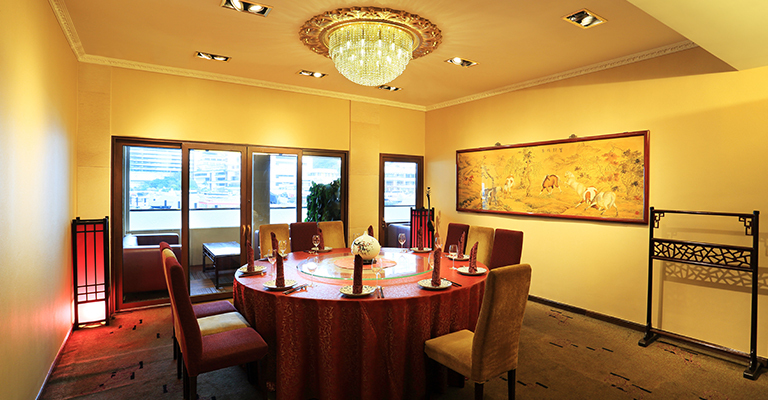 Fu Kwai Teng is the multi-function room with movable partitions that can cater different kinds of event for small groups, such as birthday, 100 day’s celebration and business meetings. 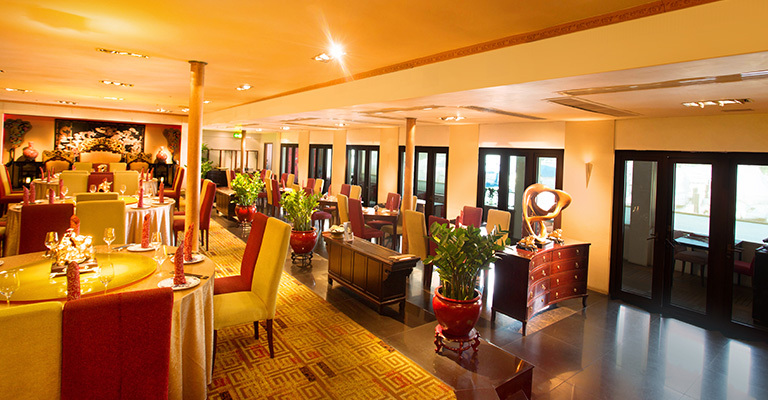 Dragon Court is a fine dining restaurant on the first deck at Jumbo Kingdom and serves quality authentic provincial cuisine. 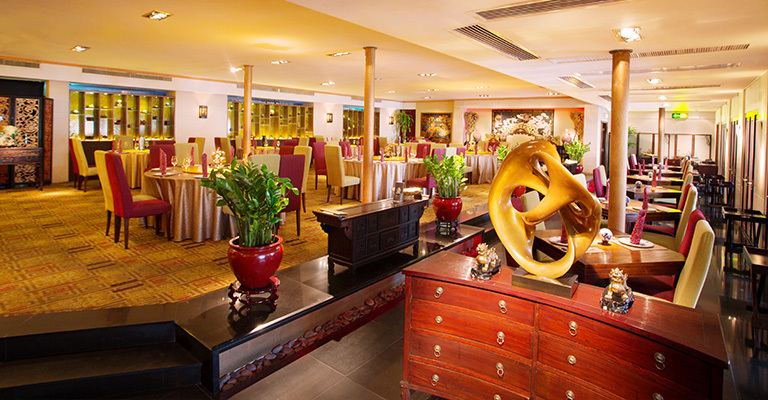 The interior design of the restaurant is a mixture of Ming Dynasty and contemporary Chinese. 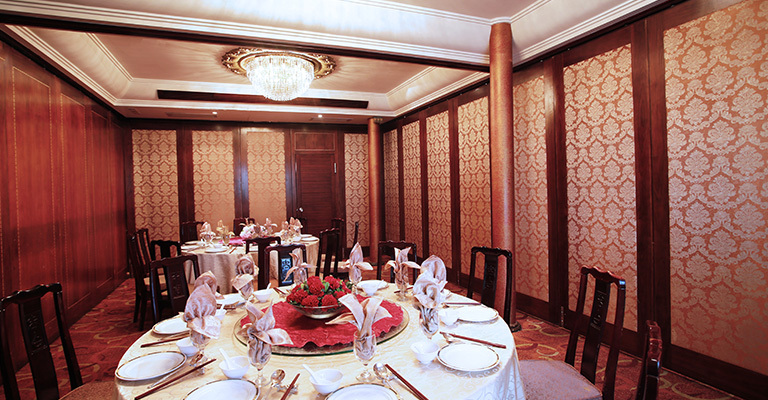 The traditional furniture and decorations create an atmosphere of luxury evocative of a bygone age. 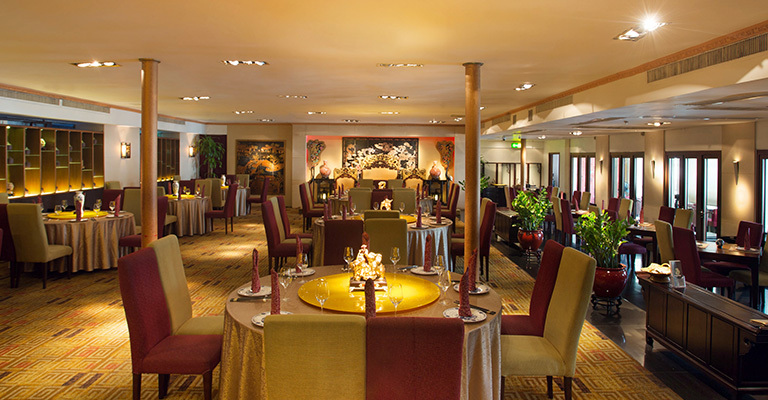 The dining hall features on open air dining experience. 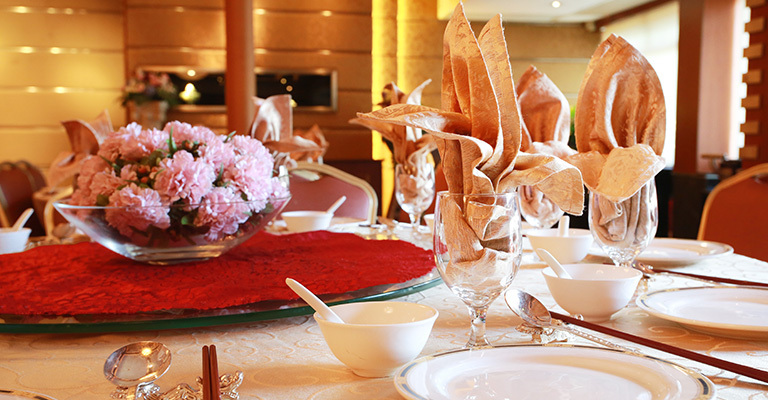 Balcony seats allow sunlight to brighten the inside dining area, with such natural and comfortable environment, all pressure will be drained away. 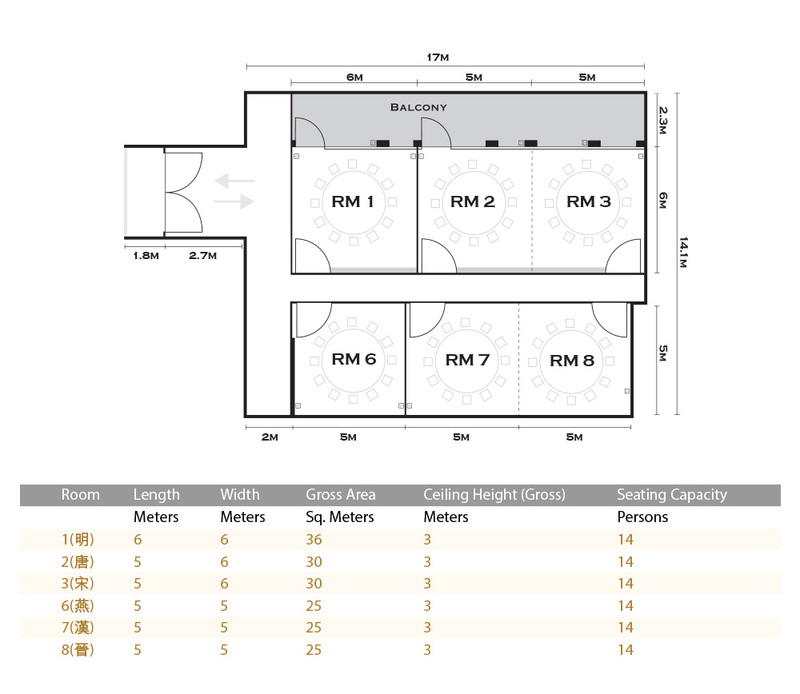 There are six VIP function rooms on the other side of the Dragon Court. 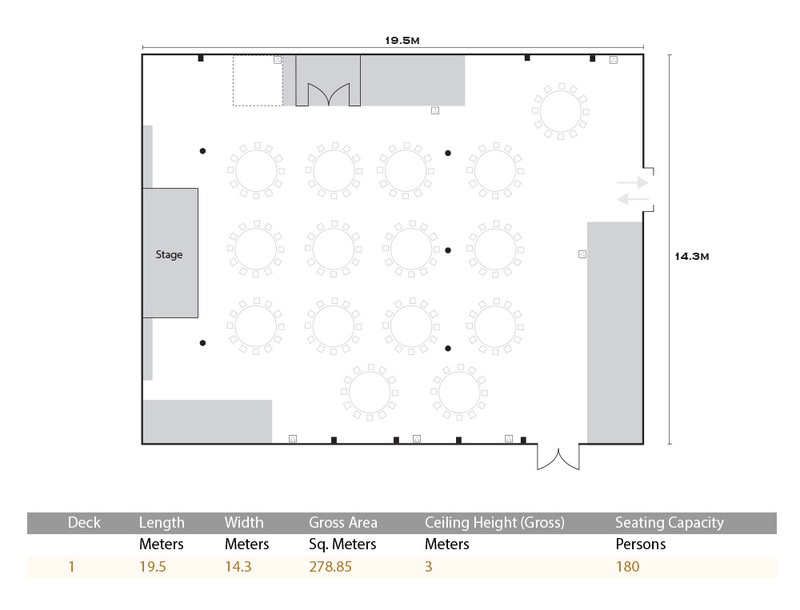 Multimedia audio-visual systems and plasma television-sets equipped in all function rooms that provide the perfect venue for corporate meetings and conferences. 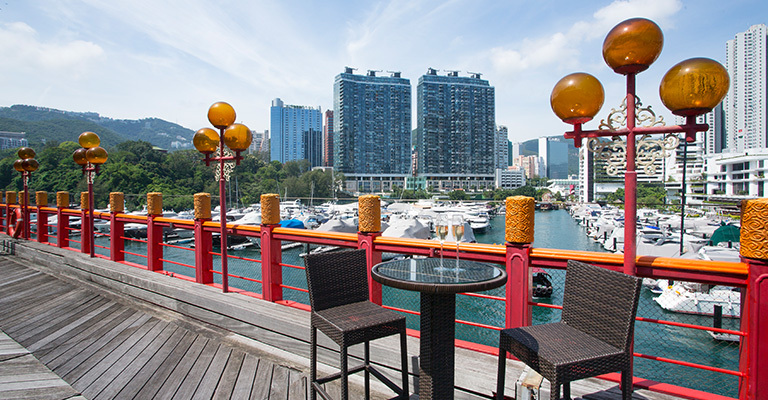 Roof Deck is an alfresco venue with breathtaking sea view and starry night view. 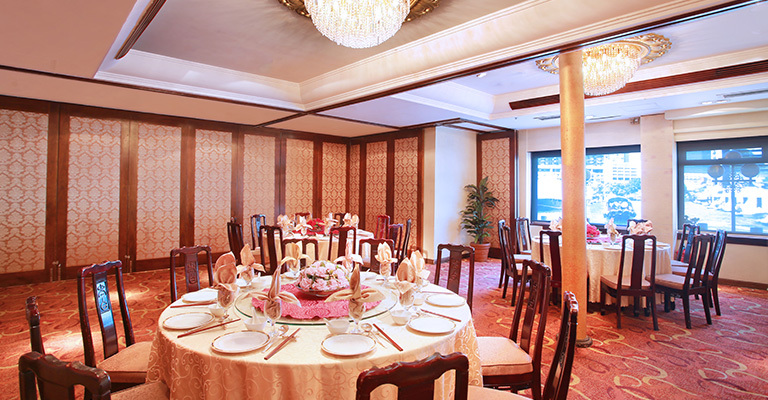 The classical banquet hall can be extended to the terrace, three private rooms and spacious outdoor area are flexible for different functions. 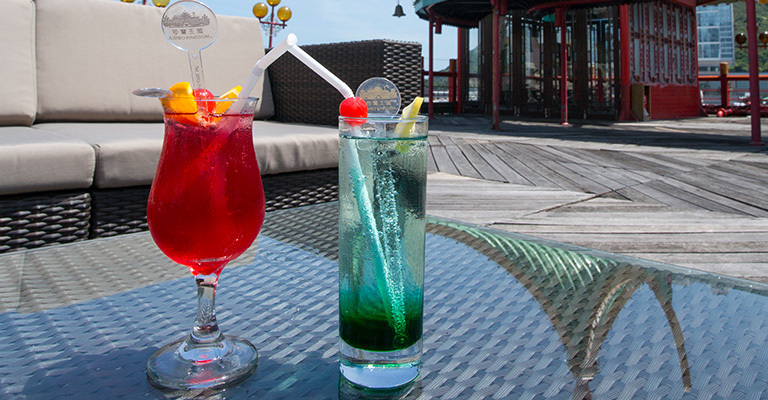 We provide variety of menus and package rate with other decks for your selections, Roof Deck is absolutely your new choice. 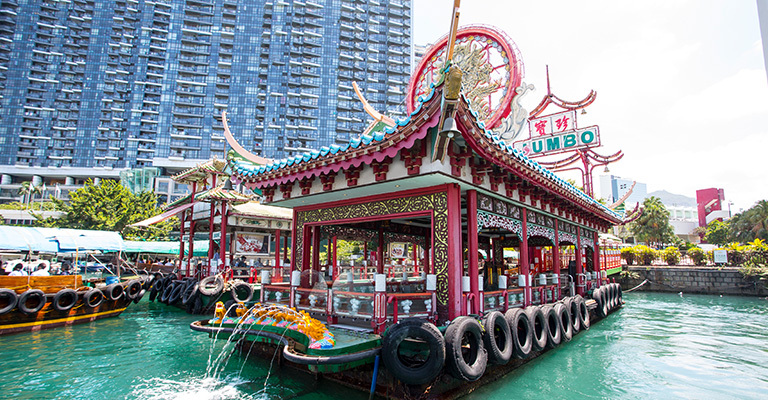 With the Chinese tradition architecture and scenes of several films are taken there, Tai Pak Floating Restaurant is an unique banquet hall for your selection, it accommodates over 400 guests for banquet in different natures. 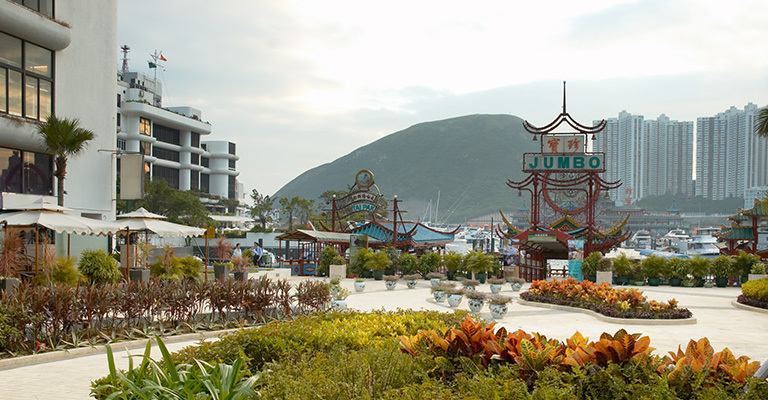 The Shum Wan Pier Garden is an outdoor venue that provides the beautiful view of traditional fishing village, you can enjoy the most romantic moment for your wedding ceremony and cocktail party in the garden.